While Tunisia has been held up as a model of democratic transition since its 2011 uprising, the country is also caught up in a struggle with Islamist militancy. TUNIS, Tunisia -- Exactly five years after the Arab Spring, Tunisia's revolutionary achievements have disappeared. Once considered the country that resisted the chaos that took over most of the MENA region after 2011, it seems to be sliding back into its pre-revolutionary situation. There is only one cause for this: poor leadership. Could it possibly be that a Bush III administration will revive the use of torture against the Islamic state, an organization that owes its existence to the U.S.'s disastrous occupation of Iraq? And so our country prepares to wrong the wrongs of the past. The dream of a country untainted by corruption has remained a powerful vision ever since. It is hard to imagine a more demoralizing step for Tunisians than suddenly telling them that they need to make their peace with a kleptocracy. 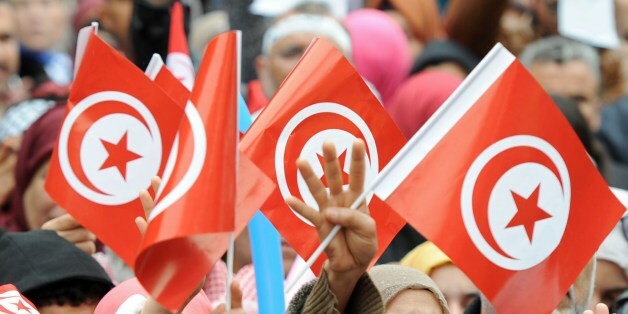 The launch of the Truth and Dignity Commission in June marks a turning point in Tunisia's transition -- a groundbreaking step toward justice in a country that has experienced many human rights abuses, particularly during the reign of its last dictator Zine El Abidine Ben Ali. Declaring a desire to stand "shoulder to shoulder" with Iran in combating terrorism, and driven by Turkey's evolving policy toward Syria, Erdoğan's trip highlighted Ankara and Tehran's tendency to pursue mutual interests when their paths cross. While those in Western countries may wonder what is meant by "transitional justice," in societies emerging from a period of mass abuse -- such as systematic torture, massive disappearances and crimes against humanity -- the question of how to address past abuses is an urgent one, particularly for victims. Can Democrats and Jihadists Coexist in Tunisia? While Tunisia has been spared the large-scale human rights abuses and chaotic turmoil of the other post-Arab Spring states, a growing al Qaeda presence threatens to destabilize the country and undermine the democratic aspirations that fueled the Jasmine Revolution. Women and Islam have become the heart of the current debate as post-revolutionary Arab countries struggle to define their new identities. Getting lost in this debate is the discussion of poverty, jobs and dignified life -- the very reasons that the uprisings occurred. "The Revolution Will Spread Throughout the Muslim World - and Beyond"
People call him "The Godfather of the new Islamist Middle East." Rachid Ghannouchi, whose Ennahdha party won Tunisia's first free elections last November, does indeed spearhead the post-Arab Spring Middle East. Are Middle East dictators and other leaders, including a dead one, giving New York's Mayor Michael Bloomberg advice? These letters reveal the secret. The uprisings of the Arab spring have brought renewed attention to long-standing accusations that kleptocratic regimes throughout the Middle East have plundered their nations' assets. But recovering those assets remains a daunting challenge. 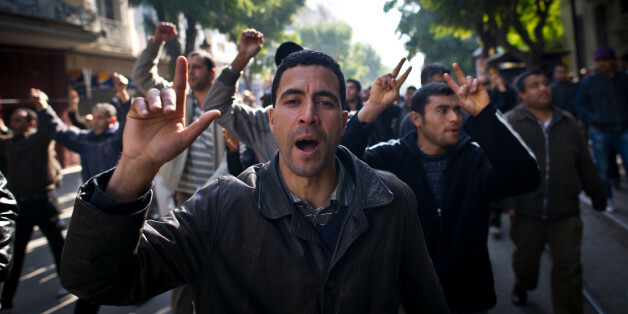 Why Has the Arab Spring Not Spread to Algeria? I spoke with April Longley Alley, Crisis Group Senior Analyst for the Arabian Peninsula, about Yemen's political scene and what comes next for the country, with or without Saleh. Ahmed Salah, an Egyptian journalist and activist who had survived torture while incarcerated in jail for pushing against the regime, brought his mission to the United States. After the fall of long-time autocrats comes the hunt for their hidden loot. Libyan dictator Muammar Gaddafi may be the wealthiest of all, since he is said to control over $150 billion. In cases in which an Islamist party was elected fairly to power, democracy was indeed dismantled, but not by the Islamists. It was dismantled by the paranoid reaction of America and its allies. The fall of Egypt's modern-day Pharaoh and the establishment of a true democracy will likely shape that volatile region more than anything since the fall of the Ottoman Empire. In Tahrir Square, the feeling came over me: Egypt is another Iran. I don't mean in the sense that Egypt's revolution will bring a radical, Islamist regime into power. For all of the stories wired in from Cairo of the yearning for freedom in Tahrir Square, one question is rarely addressed: why now?  A Nobel Nomination for WikiLeaks? What About Bradley Manning, America's Liu Xiaobo? Snorre Valen, the Norwegian Member of Parliament who nominated WikiLeaks, was probably on to something.